Last Thursday (30/8/18) Melbourne’s western suburbs were engulfed in a thick cloud of toxic black smoke emanating from a warehouse fire between Tottenham and West Footscray. The blaze, touted as Melbourne’s biggest in decades, is believed to have been fuelled by thousands of improperly stored chemical drums containing harmful substances. Although the blaze has been brought under control, firefighters are still working to put out ‘hotspots’ and significant environmental damage has already been done with chemicals present in the waterways and local residents reporting a range of smoke related respiratory problems. This event is an extreme example of what can happen when commercial property holders fail to comply with EPA guidelines regarding dangerous chemical reporting and storage. However, it can also be used as a valuable case study on the environmental hazards associated with a fire damaged property. Despite advances in the management of flammable materials, firefighting technology and fire detection, fires remain one of the most common causes of property damage worldwide and cause millions of dollars’ worth of damage every year. The Melbourne Fire Brigade attends thousands of commercial structure fires every year and in a city like ours where land is scarce and property values are sky high, it’s inevitable that fire damaged structures in and around the CBD will be redeveloped. 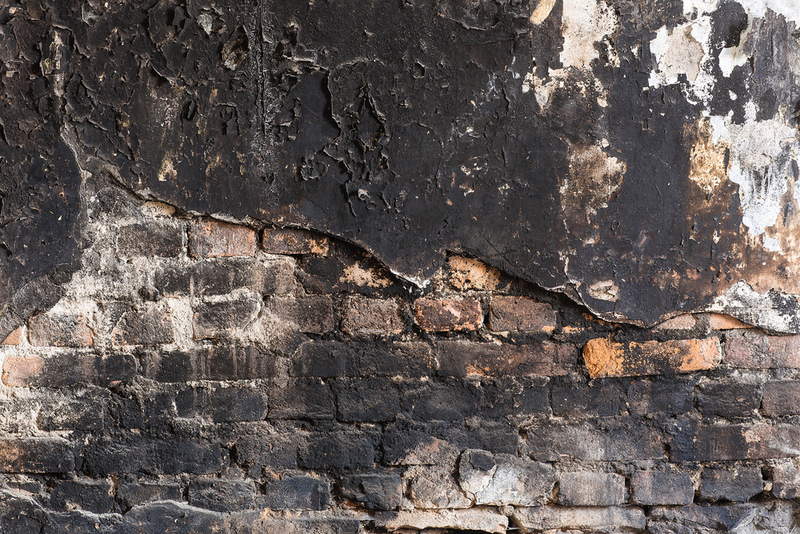 If you are thinking of investing in a fire damaged property, you need to know that the damage often extends far beyond what is immediately visible and remediation on these sites are often extensive and extremely costly. In this article, we’ll be examining the key environmental hazards associated with fire damage and the necessary steps required to remediate a fire damaged property. Contaminants are inevitably released during a fire, but the types of chemicals and extent of the damage depends on the source of the fire, the materials impacted, the extent of combustion and the methods used for containment. Common combustion byproducts, soot and char are made up of a combination of organic and inorganic solids, organic tars and resins whilst ash is the residue which remains after total carbonisation. These substances remain in fire damaged buildings in HVAC systems and venting as well as in the surrounding environment. They can be inhaled, ingested, or absorbed through the skin and eyes. Soot, char and ash are well known to be carcinogenic but they are also linked to respiratory issues, cardiovascular disease, stroke and premature death. In infants, exposure to these substances can permanently damage their respiratory system development. This is a group of chemicals which are released or generated from the incomplete combustion of organic matter. Once released, PAH’s condense and cling to the surfaces of a building and they also permeate the soil, air and waterways. PAHs have a number of health risks associated with them including cancer, cardiovascular disease and poor fetal development. Structural fires need to be doused with significant amounts of water before the fire stops smoldering. The idea is to saturate all flammable materials with water so they no longer have the potential to become fuel. Whilst this is effective from a fire fighting perspective, it does mean that water ends up in places where it shouldn’t and mold can begin to grow within 48 hours. We’ve often talked about the health risks associated with mold before, but stagnant water left over from firefighting can also facilitate the growth of harmful bacteria. Because the West Footscray fire is thought to have been fuelled by stored chemicals, significant concentrations of contaminants related to industrial activity were released into the surrounding waterways. So far, in addition to polyaromatic hydrocarbons which are fire and soot byproducts, the EPA has detected the industrial chemical and cleaning product phenol, industrial solvents including acetone and butanone and chemicals known as BTEX which include benzene, toluene, ethylbenzene and xylene). As a fire eats its way into the structure of a building containing asbestos and exposes the material, the fibre becomes airborne and hazardous for humans. 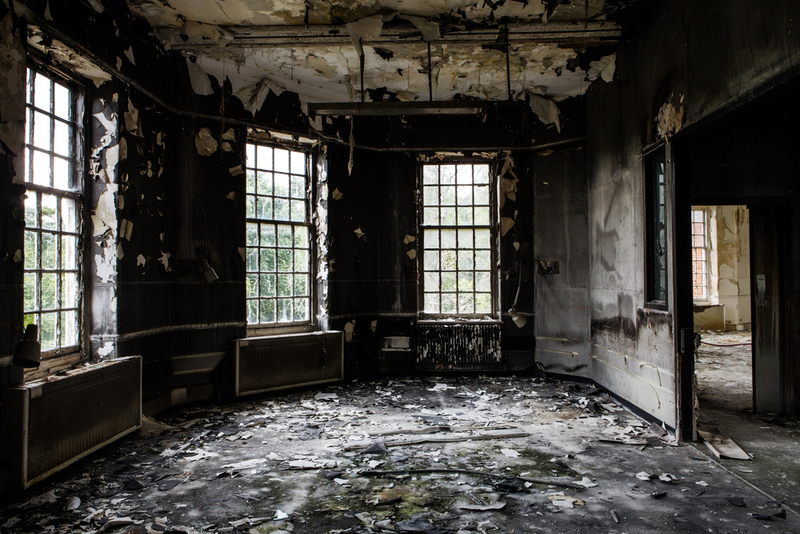 In older buildings where lead paint is present, combustion can cause the lead to be carried into the atmosphere. Lead is highly toxic, particularly to young children. The first step in remediating a fire damaged site is to send in qualified environmental consultants who can assess and delineate the extent of the damage as well as identify all contaminants present. Restoring a fire damaged building to an inhabitable state involves assessing air quality, the presence of contaminants on building finishes and determining if anything was absorbed into porous surfaces as well as into building cavities which are not visible. This this can be achieved with a Phase II Environmental Site Assessment. Aside from the building, soil and any bodies of water will also need to be tested for contaminants which will need to be at acceptable levels before the site is deemed usable again. Remediation usually involves a combination of debris removal, cleaning, drying and sometimes demolition if the contaminants have permeated building materials. Alpha Environmental are Melbourne based environmental consultants with the skills and experience necessary to assist local businesses and developers with all of their environmental compliance needs. To learn more about our capabilities, please don’t hesitate to get in touch with us by calling 1300 039 181.